Scientific American has been reporting on technological innovations for more than a century. 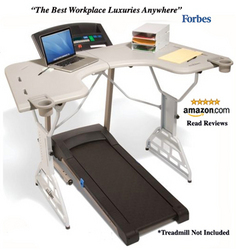 Ironically, it has recognized the TrekDesk Treadmill Desks in its Top 10 Gadget Guide 2010 as a means of combating obesity related diseases caused in large part by technological innovations. Join the TrekDesk “Movement Revolution” to learn more on TrekDesk’s Facebook page at http://www.facebook.com/pages/TrekDesk-Treadmill-Desk/80743563805.